In the northeast of Bali sits an active volcano. 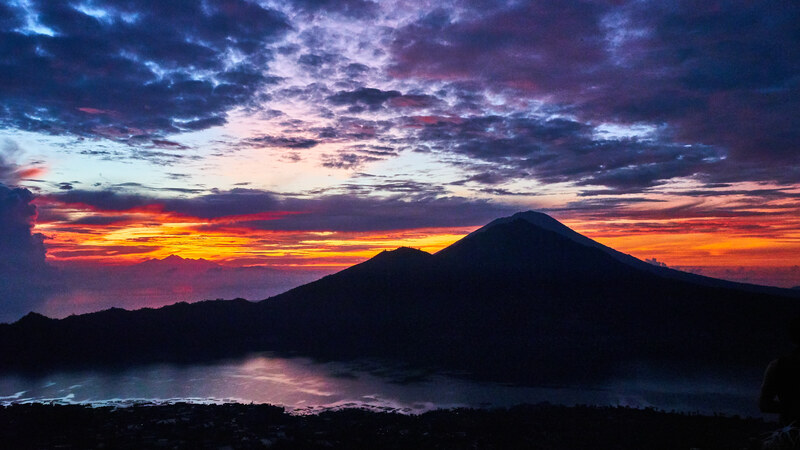 It is protected and designated as the Batur UNESCO Global Geopark however visitors may climb Mount Batur in the wee hours of the morning in order to be at the summit for sunrise. Looking out to the east one can see a caldera lake and behind that Mount Agung, the tallest peak on Bali.